Produktinformationen "Spinlock Deck Lifejacket 150 N"
The Spinlock Deck Vest is probably the ultimate in comfort thanks to the compact, ergonomic 5D design of the integral life harness. Thanks to its shape, this vest does not lie against the neck like others, ensuring the highest degree of comfort and unrestricted freedom of movement for a whole day's sailing. The vest has two handgrips for speedy attachment even under the toughest conditions, regardless of how many layers of clothing you are wearing. Top-quality features include spray hood, flashlight, detachable leg straps and safety belt. Weight: 2.1 kg. 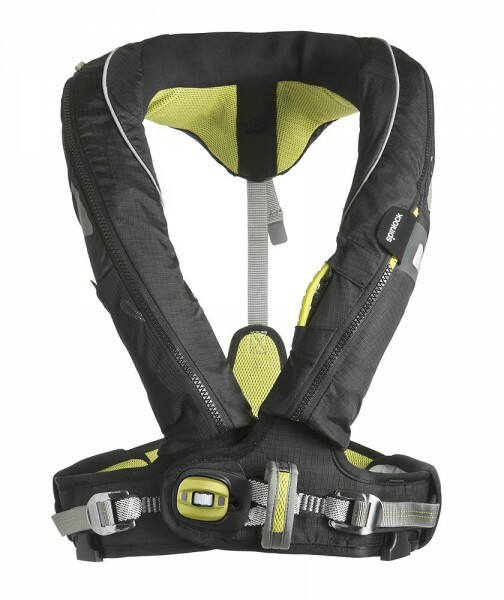 Weiterführende Links zu "Spinlock Deck Lifejacket 150 N"